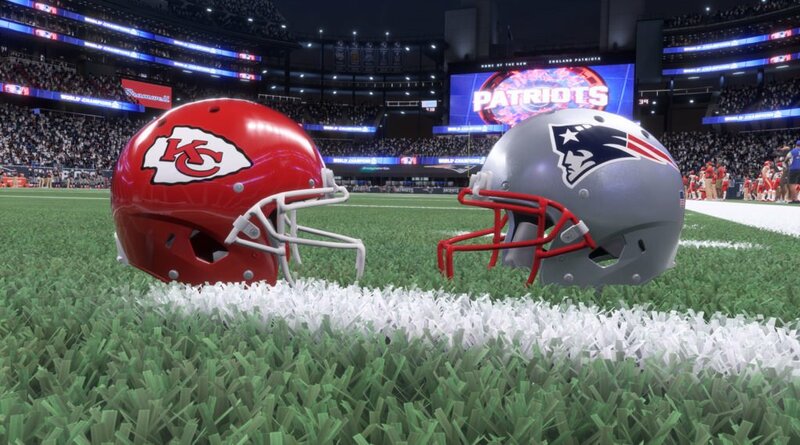 We are at the beginning of the new NFL season and the New England Patriots, as they traditionally, open the championship dances with the credible chance to repeat themselves in front of the Kansas City Chiefs who will battle him to break the party. 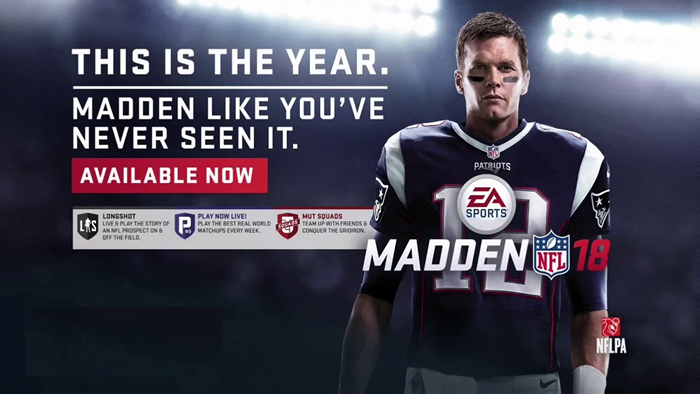 Madden-Store has guided you through all of the season's preview, hoping to better understand what is going to happen in the field, the real one. Now is the time to get away from reality and make a trip through the only video game that lets you impersonate Tom Brady and bring the Patriots back to the Super Bowl behind a joypad. We are talking about Madden 18 of EA Sports, the only title in circulation that could earn an income and instead worked well to improve quality. First he changed the graphics engine, relying on the Frostbite Engine. Realism has made a big step forward, with players who when they reach their training station do not look like autos, but have human movements as well as during track racing or contacts within tackle. Some bugs and some abnormal behavior are still there, and some players overlap graphically, but are sporadic. The use of light is a real touch of genius because, based on where it comes from, the face and the player are illuminated as in reality, a peculiarity that is most appreciated in the new mode that Madden has created in Fifa style. This is Madden 18's real innovation, a mixed mode of simulation and film that retraces Devin Wade's career from the young age to the NFL approde with animations, stories told by protagonists in motion capture and emotional decisions to take for manage individual situations. It's a five-hour feature that will lead you into the life and improvement of the Texas player who will have to leave the High School to finish his trip to an NFL pocket. The first two hours of animation will be rather passive, but then you will come alive with human decisions, techniques and launches that will make the young prospect a star between intimidation of defenders, friend wide receiver and combine pre draft. Even at the end of the Longshot story there will be room to enter the Ultimate Team mode and continue the screenplay after the end of the film. There are few changes in the franchise mode, much loved by a good slice of users, while maintaining the unchanged options and possibilities, while within the games there is the innovation of being able to play simultaneously in three in the same team. At the pure gaming level, the targeting feature is the target passing: you can decide manually using a downfield moving cursor to get the ball to your player. For archaic fans is an option to not activate, while those who love realism at the noon power, can find great gratification in putting the ball exactly on the pylon and away from the hands of the cornerback. Certainly, however, it takes a long learning curve to learn to use it constructively, so we only recommend it to real fans and especially to those who have the time to invest. For these distinctions of tastes, there are three modes of play: the Arcade where the action and the stirring of the game make it master by decreasing the physical and natural laws of sport, that of Simulation that is the classic way out of the Competitive mode to close the circle thanks to the remarkable realism where the players' tendencies and abilities are taken into account. For the unscrupulous of the arched, the latter mode is the most realistic and funniest to use, because EA with online updates will change and adjust the ratings of players and teams based on what really happens in the field, adding another step towards achieving the faithful reality. Ultimately, Madden is a game that has progressed from last season both graphically and with the beautiful Longshot story. In many, the nose is overwhelmed by the lack of innovation in the franchise mode and even within the game's management, but if you want a faithful reproduction of football for your console, Madden is for you.